I was impressed that Nottingham appeared to be a very multicultural city, and NTU had great facilities for Textile Design. 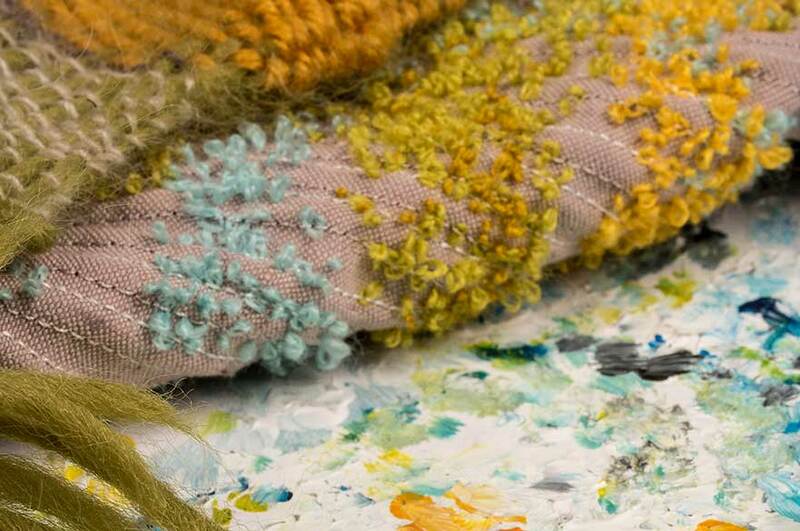 What made you choose to study Textile Design at NTU, and what do you enjoy most about the course? "I was impressed that Nottingham appeared to be a very multicultural city, and NTU had great facilities for Textile Design. "I enjoy doing sketchbook work and translating my sketches into samples. I also enjoy using the industrial embroidery machines." Has the course included any live projects? "There have been various live projects with companies such as Next (menswear), Hillarys Blinds and Arlo & Jacob. I also completed a project for SPINEXPO which resulted in me visiting the tradeshow in Shanghai, China. "During my time at SPINEXPO, I had various responsibilities which included laying out samples to go in the cabinets, dressing mannequins and representing the University. This opportunity benefited my studies as it has given me an insight into the professionalism of the industry. It has also opened my eyes to various other career paths I could take after University, such as working at the tradeshow and promoting industry." How do you find the course staff? "The course staff are very supporting and helpful. You can talk to any member of the team about any worries and they will always be happy to help." Would you recommend your course? "I would recommend Textile Design at NTU because you benefit from a huge amount of brilliant facilities. The support you get from both your peers and the staff really helps you to grow independently, especially if it’s your first time living away from home."